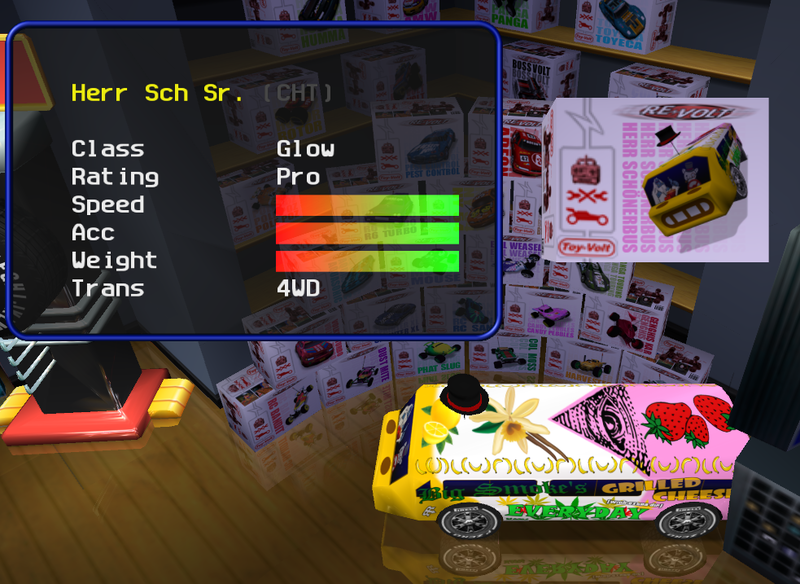 Found this bug with an URV's All's Fair car called "Herr Schönerbus"
Last edited by SebR on Tue Nov 13, 2018 6:47 pm, edited 4 times in total. Info: Your linked pictures are never visible to me, Seb. Can't say if it's only an issue on my side. I still get the issue with the name (quite curious that everything after a space is fine, though), but the files seem to load up fine. Note that I'm using the RVZ version rather than the original AF2 release, though I don't think there are many differences between the two aside from the name and the additional variations provided in the RVZ version, so it shouldn't matter. Re: Seb's pictures: That's because he uses Dropbox to upload the images. He would probably have to use a different image hosting service to be able to use them with the IMG BBCode. Good catch, and reported just in time. I'll fix this. For info, the bug causes a word containing extended ASCII to get truncated in some cases. The model loading issue happens when the closing double quote (") gets truncated, so it continues reading the next line as part of the NAME. On Linux : "Dirt Gear n°2" appear as "Dirt Gear nx2"
I think your installation still has the old font files. Make sure you're using font.bmo and font.bmp from the latest release.